We offer a warm, interactive Passover Seder. Our Seder is English friendly and not prayer intensive, so everyone can feel welcome. Enjoy fine wines, full brisket dinner, and crispy hand-made Matzot. Celebrate the Holiday of Freedom at a Seder experience you will remember for a lifetime! For the first Seder on Friday April 19th, there will be a separate Seder for grad students, young adults and community members. Due to space and budget limitations, the Seders are for Jewish students only. For those of other faiths looking to experience Passover or to fulfill a requirement for a religious-studies class, we are offering an educational Seder on Tuesday, April 23rd at 7:30 pm. Please join us then. *We have plenty of wine for the four cups, but if you'd like to bring your own please make sure it is Kosher for Passover. 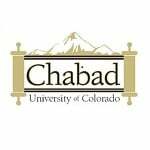 Seders will be held at the Schaeffer Jewish Student Center. 909 14th Street. Seder 1, Friday, April 19th, 7:30 p.m. If you would like to join in sponsoring part of the Seder please click the donate button below.